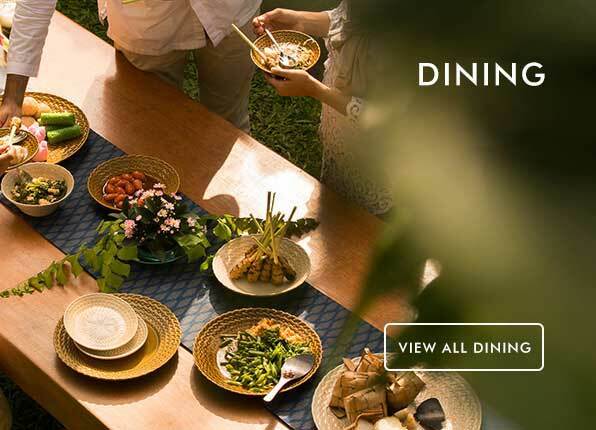 www.jenggala.com is an online store belonging to jenggala that sells quality homeware products ranging from dinnerware, bathroom amenities and home accessories. This website is operated by PT. Jenggala Keramik Bali. The use of this website is subject to our Terms & Conditions. Please spend a few minutes to read the existing Terms & Conditions. By using the jenggala.com website, you are considered to have agreed with our Terms & Conditions. If you do not agree with our Terms & conditions, please do not use the www.jenggala.com website. PT. Jenggala Keramik Bali reserves the right to revise or amend these Terms & Conditions at any time without prior notice. All of the content you see on this website, including, for example, but not limited to, all of the page headers, images, illustrations, graphics, audio clips, video clips, and text (referred to herein as the “Content”) is the exclusive property of PT. Jenggala Keramik Bali and/or is subject to trademark, service mark, trade dress, copyright and/or other intellectual property rights or licenses held by PT. Jenggala Keramik Bali, by one of its affiliates or by third parties who have licensed or assigned their rights, interests and/or materials to PT. Jenggala Keramik Bali. The entire Content of the jenggala.com website is copyrighted as a collective work under Indonesian and other applicable copyright laws, and PT. Jenggala Keramik Bali owns a copyright in the selection, coordination, arrangement and enhancement of the Content. The Content of the jenggala.com website, and the website as a whole, is intended solely for the personal and non-commercial use of the users of our site. As such a user, you may download, print and store selected portions of the Content, but only if (1) you use any such copies of the Content only for your own personal and non-commercial use, (2) you do not copy or post the Content on any network computer or broadcast the Content in any media and/or in any form or format, (3) you do not modify or alter the Content in any way, or delete or change any copyright or trademark notice, and (4) you properly credit any intellectual property rights to Jenggala. No right, title or interest in any downloaded or copied materials are transferred to you as a result of any such downloading or copying. PT. Jenggala Keramik Bali reserves complete title and full intellectual property rights in any Content you download from this website. Except as noted above, you may not copy, download, reproduce, modify, publish, distribute, transmit, transfer or create derivative works from the Content without first obtaining the express written permission of PT. Jenggala Keramik Bali. Applicable Laws The provisions herein are subject to the prevailing laws in the Republic of Indonesia. In principle, any arising disputes shall be settled amicably. In the event that the parties fail to achieve amicable solutions, the disputes shall be referred to the District Court of Denpasar for settlement. Each comment, feedback, note, message, idea, suggestion or any other communications sent to the jenggala.com shall become the exclusive property of PT. Jenggala Keramik Bali. PT. Jenggala Keramik Bali is entitled to use, reproduce, express, publish and distribute such comment and any other materials that you have submitted for whatsoever purposes, without any limitation and compensation to you. To purchase through the www.jenggala.com website, a customer is required to firstly login. An unregistered customer is obliged to register as a User/Member by filling out the registration form to be able to login and purchase through the www.jenggala.com website. After successfully ordering products on the order page, a customer shall continue to the payment of the ordered products. jenggala is entitled to decline a customer’s order if based on its consideration there is any inappropriateness or fraud. We have done our best to display as accurately as possible the colors shown on the www.jenggala.com website. However, because the colors you see will depend on your monitor, we cannot guarantee that your monitor’s display of any color will be accurate. The presented prices in this website are quoted in Indonesian Rupiah (IDR) and only applicable in Indonesia, Singapore, Thailand, Malaysia and Australia. The presented prices exclude taxes, packing fees, shipping fees, insurance costs and other costs. Those fees will be disclosed at the time of checkout/payment process. The payment made through the Jenggala website uses the Indonesian Rupiah (IDR). The accepted online payment methods are by Visa, MasterCard, PayPal and DOKUPAY. A customer shall duly settle the payment. If the payment has been successfully made, we will send you a payment receipt through email included in your personal data within maximum one (1) day after the payment process is duly completed. Please keep the payment receipt for future reference. For an incoming order which payment has been confirmed within 08.00 – 12.00 hours (+8) will be processed on the same day. Meanwhile, an incoming order which payment is confirmed after 12.00 hours (+8) will be processed on the following work day. Products will be shipped to the address available in the data provided by a customer when s/he orders. The shipping time will take about 7-14 work days or based on the required shipping period depending on the destination. Insurance is mandatory. The insurance cost will be displayed at the time of checkout. Customer’s acceptance and signature on the product receipt document are mandatory as evidence that the process has been completed. If Jenggala’s shipping is declined by a recipient, the customer will be responsible for costs associated with returning the shipment, including import duties. Jenggala’s main concern is customer satisfaction. Should you need to return items please do so, no questions asked, for store credit. 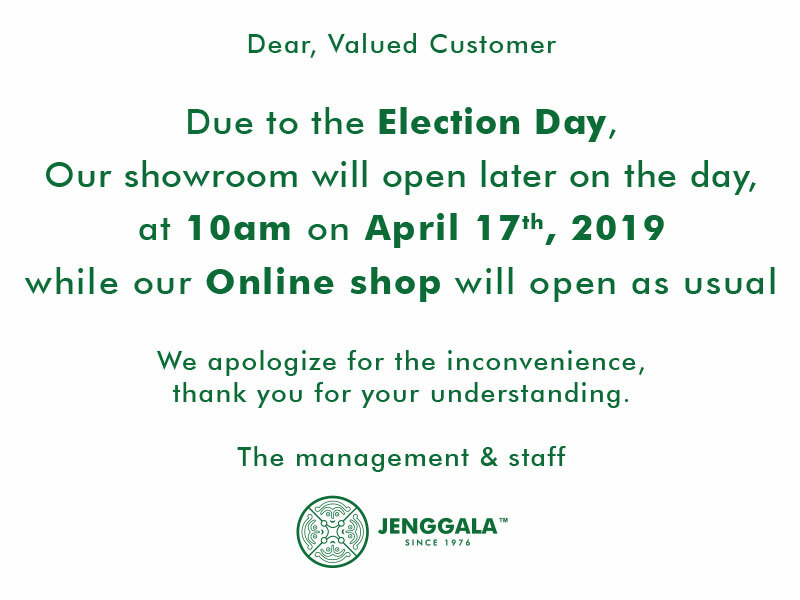 Please contact our customer care team (customercare@jenggala.com) for assistance. Setiap kerusakan yang terjadi pada pengiriman harus dilaporkan ke Jenggala dalam waktu 7 hari (dari tanggal barang diterima) kepada Customer Service kami untuk proses penukaran. All our ceramic products are handmade, so irregularities and variations in glaze color, texture and finishing are inherent and are expected. We feel these irregularities and variations shouldn’t be looked upon as a defect, as it gives our products unique characteristics enhancing the aesthetics of each peace. For more information, please visit our Quality & Care section. By using the jenggala.com website, you are considered to have agreed to be responsible for using this website. You are fully responsible for any arising costs related to services and apparatus refurbishments for using this website, and that PT. Jenggala Keramik Bali is not responsible for any damages related to the use of this website. You have agreed to defend, indemnify and release PT. Jenggala Keramik Bali from any and all claims, damages, costs and expenditures including advocate fees, any other arising fees generated from or related to the use of this website, including, but not limited to the violations to the Terms and Conditions of using this jenggala.com website.